WSO2 is growing up, I look for almost 3 years with great attention to this growth of Open Source Middleware. WSO2’s not just an observer, I almost immediately adopted the framework WSO2 WSF/PHP to develop Web services in enterprise applications. Often working with this framework, I decided to create a number of facilities, one of those who intend to present in this article is the Virtual Appliance WSO2 WSF / PHP built specifically to allow fast start-up the development team, which should not worry about the phase of installing and configuring a platform WSF / PHP. The Virtual Appliance is based on the destruction of openSUSE Linux (version 11.1) and version 2.1 of the framework WSF / PHP. For the construction of the virtual appliance I have used the environment provided by SUSE Studio that allows you to build from scratch a Linux distribution based on openSUSE or SUSE Linux Enterprise to suit your needs. 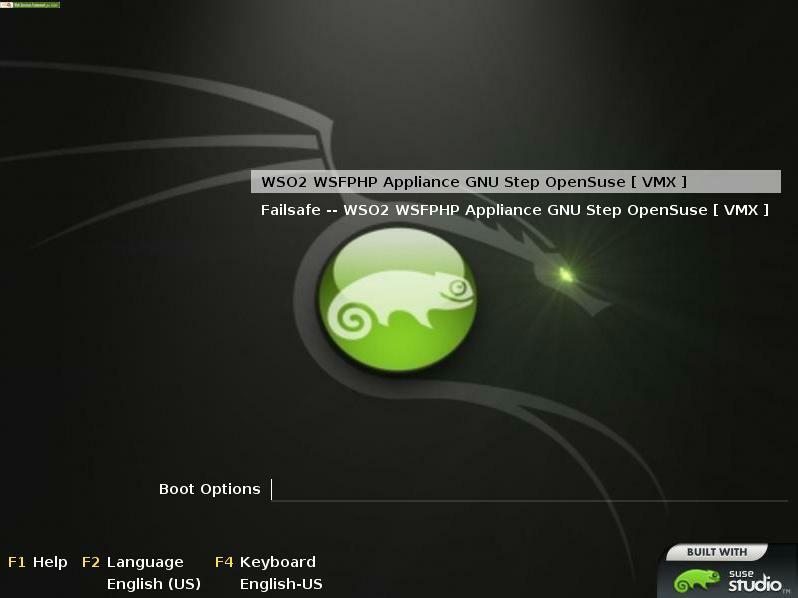 The virtual appliance WSO2 WSF / PHP is available at http://susegallery.com/a/2Vav5p/wso2-wsfphp-linux-virtual-appliance. Below are shown a series of screenshots of the virtual appliance running.